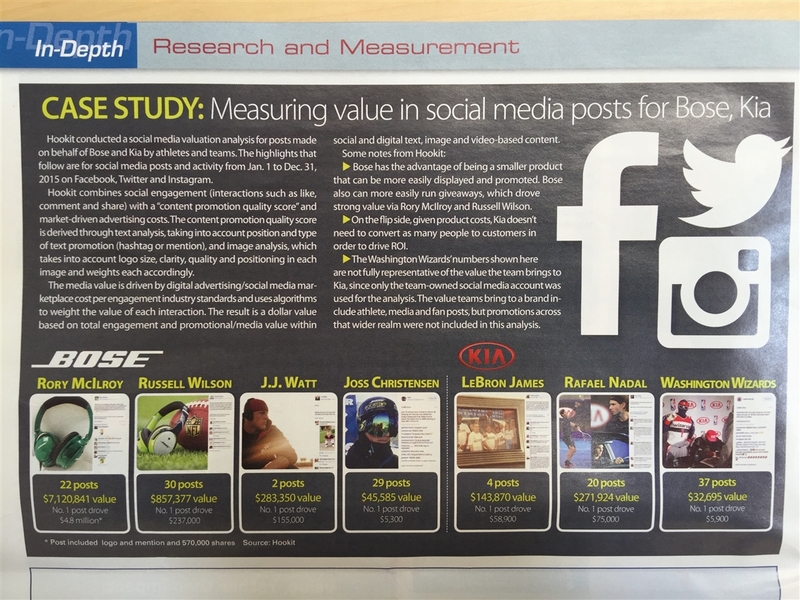 We recently helped Sports Business Journal with a case study involving the true value of social media posts made by Bose and Kia endorsed athletes and teams. 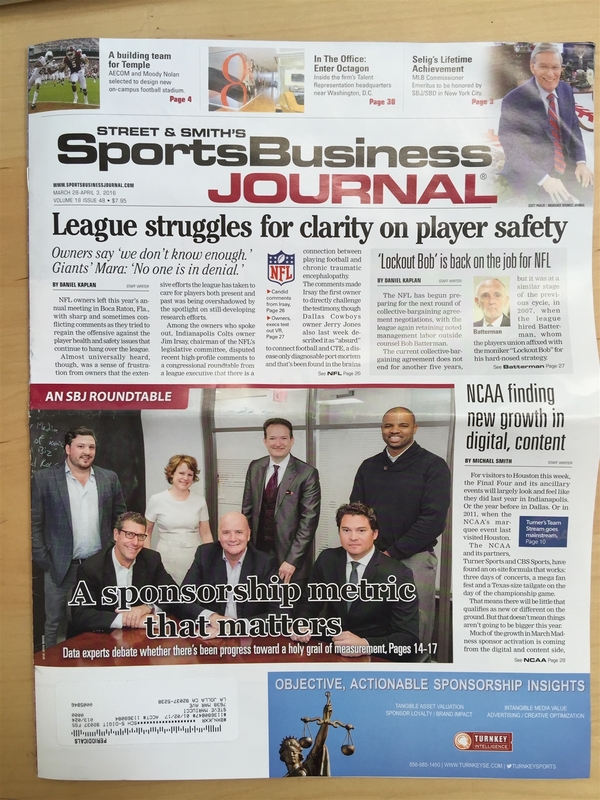 Check out all the details in this week’s Sports Business Journal. This analysis uses the Hookit Valuation Methodology™ (HVM), whereby Hookit combines social engagement (interactions) with a content promotion quality score & market driven advertising costs. The content promotion quality score is derived through text analysis taking into account position and type of text promotion (hashtag or mention) and image analysis, which takes into account logo size, clarity, quality and positioning in each image and weights each accordingly. The HVM is driven by Digital Advertising / Social Media Marketplace Cost Per Engagement (CPE) industry standards and utilizes patent pending algorithms to weight the value of each interaction (like, comment, share). The result is a tangible dollar value based on total engagement and promotional / media value within social and digital text, image and video based content.